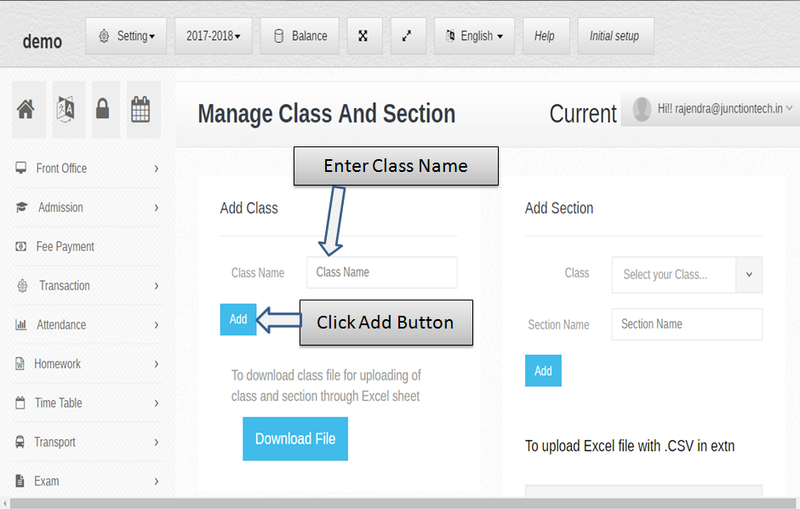 Step:1- Class management software you have to create the class so please click the setting button then select manage class option. 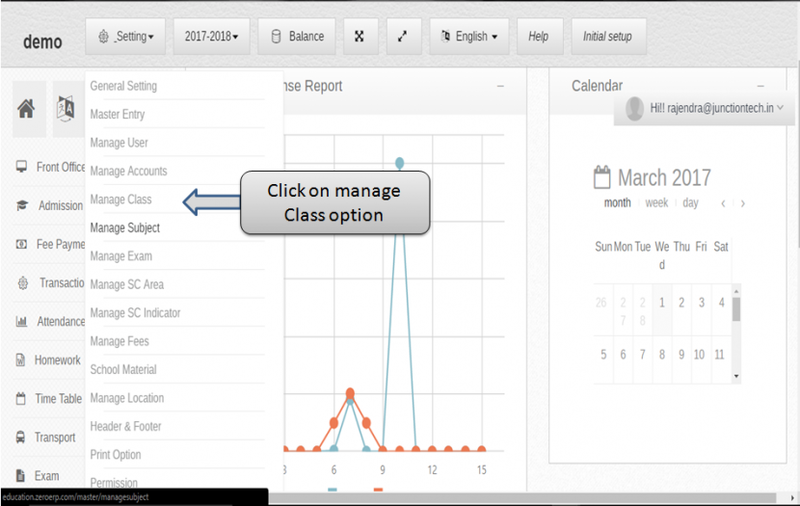 Step 2:- Class is a most important part of any school management software . In zero erp you have to create class name please click setting button then select managed class option and create school class name. 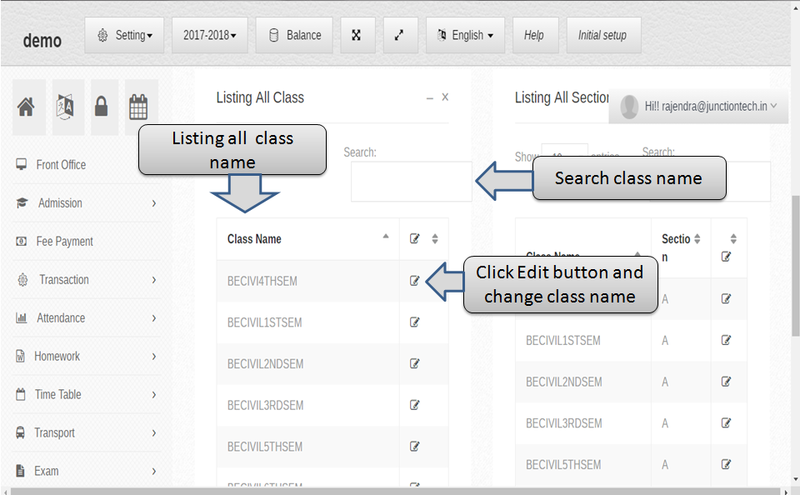 Step 3:- In class management software listing all class name then you have to search any class name enter class name in search box and click enter button . If in case you have to change any class name click edit button then open previous class name now you have to change class name and click save button school class name update successfully . 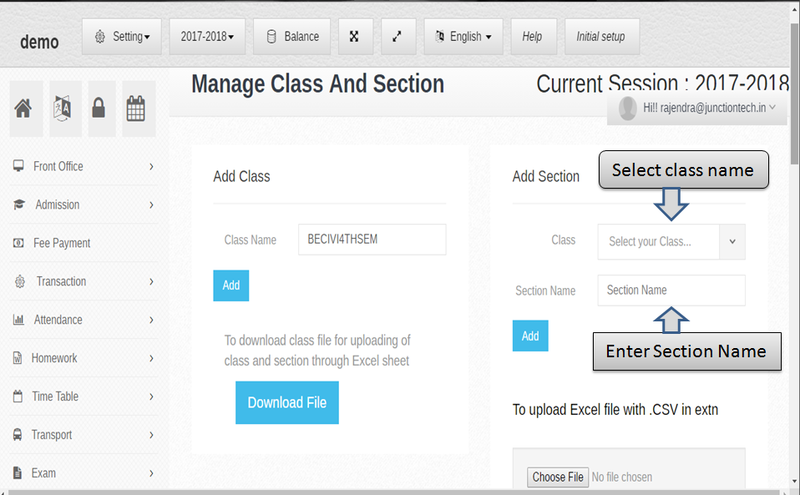 Step 4:- In class management software create section behalf on a class select class name and enter section name and click add button then section create successfully in sechoolerp . 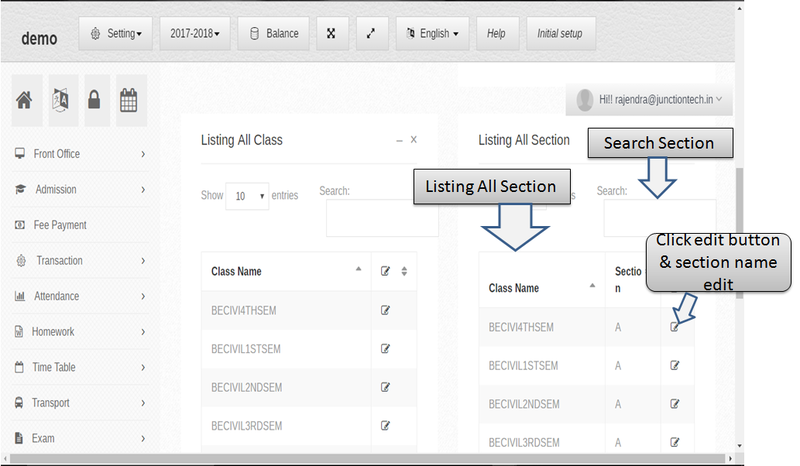 Step 5:- Listing all class name and section name if in case change your section name in schoolerp now you have to click edit button and change section name now you have to search section name enter section name in search box .